Israel’s solar water heating technology made by Chromogen heads to the US and Canada. Chromagen, an Israeli developer and manufacturer of solar water heating solutions, has entered into a strategic partnership with Milwaukee-based A. O. Smith Corporation. 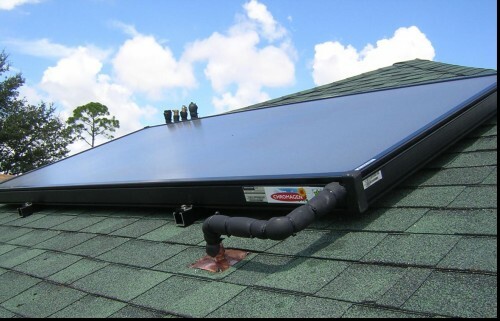 The agreement provides A. O. Smith the exclusive rights to market and distribute Chromagen’s solar collectors for residential and commercial solar water heating systems in the U.S. and Canada, the Solar Thermal Magazine reports. Under the new partnership, the two companies will also work together to design, develop, and market energy-efficient solar products. “Chromagen, a pioneer in solar water heating, offers a proven solar product line of consistently high quality, extensive technical capabilities, and a global presence in the rapidly expanding renewables market,” Ajita G. Rajendra, president of A. O. Smith Water Products Company, said in announcing the agreement. “As A. O. Smith expands its offering of high-efficiency water heating solutions, it is important we team up with the right strategic partners so that together, we can bring the best value to our customers in this rapidly changing market. Chromagen operates two manufacturing facilities in Israel and distributes products in over 35 countries. Founded in 1962, it recorded sales of about $50 million in 2009.